You probably know that the arrival of Dutch Elm Disease in Britain around 30 years ago virtually wiped out the Elm population in this country. As many 25 million trees in the UK were lost, causing an environmental catastrophe. There was similar devastation in Europe as the disease spread across the continent. Paris once had 30,000 Elms lining its boulevards and avenues – now there are less than 1,000. All was lost? Not quite. One small corner of Britain held out against the disease, nurturing and maintaining its elm population at more or less the pre-1980s level, and that corner is the City of Brighton & Hove. Complete disaster was avoided thanks to people like Rob Greenland, who was the Senior Arboralist on the council during the darkest days of the disease, when they were chopping down as many as 700 infected trees a year in the city. There is calm during the winter months, and then the fight starts in earnest around mid-June. As temperatures rise, elm bark beetles seek out healthy, mature elm trees in Brighton & Hove in which to make their home. Unfortunately, these beetles carry the elm disease which can kill a healthy tree in a few short weeks. Over the summer months, the council’s Arboricultural Service team is on alert, ready to leap into action to treat outbreaks of elm tree disease wherever it occurs. Upwards of a hundred council staff are trained in identifying the first signs of disease, and their ranks are enhanced by many more local spotters, eager to maintain and preserve our historic Elm population. 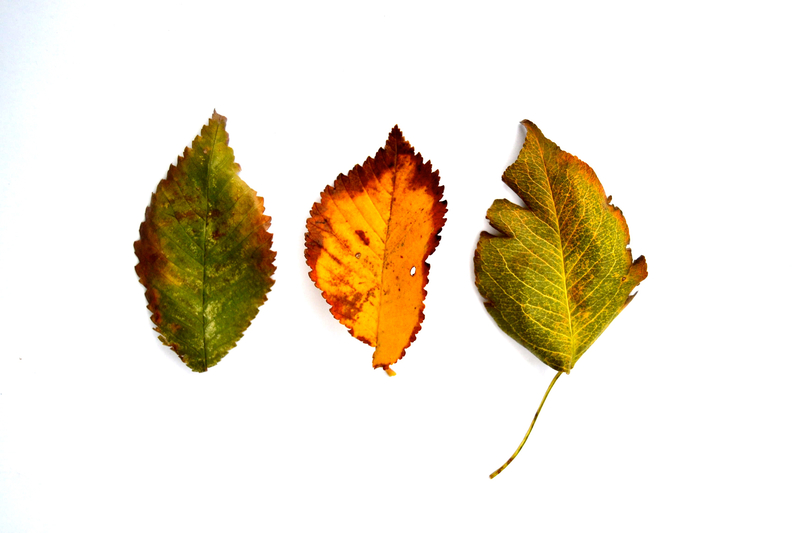 A typical way of spotting elm disease is when the leaves go brown and start shedding in mid-summer. If you have an Elm tree in your garden showing signs of disease, contact the council and they will take the necessary action free of charge. Follow the instructions here. Dozens of trees – Elm trees typically get infected from the top down – are treated, pruned and safely preserved, and only a handful are lost each year (about 30 in Brighton & Hove in 2014). 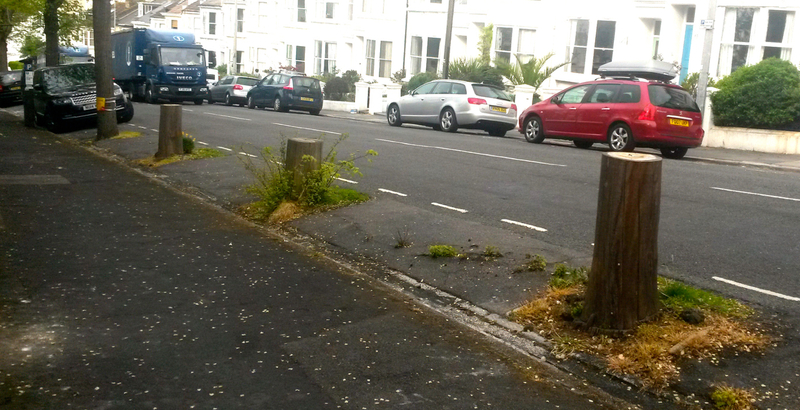 Over the summer of 2014, the Queen’s Park area lost three elms on Freshfield Road and one on West Drive. The condemned elms are swiftly ‘girdled’ by cutting out a thick strip of bark around the waist of the tree to prevent further infection reaching the roots, before it is felled. A glance down West Drive shows you where elm trees have been lost, where new ones have been planted, and where mature, healthy Elms continue to flourish. Elms form part of the fabric of this city. Most of the trees in Pavilion Gardens are elms, and key outdoor areas – Preston Park, Hove Park, The Level – are framed by Elm trees. It is an indigenous tree, suited to the thin top soil and chalky base, thriving in the salty south westerlies that blow in off the Channel. Not surprisingly, the citizens of Brighton & Hove have become emotionally attached to them. When an Elm tree in Vernon Terrace, Seven Dials, was condemned due to its over burdened roots, 4,300 locals signed a petition to save it, and the tree is still there. 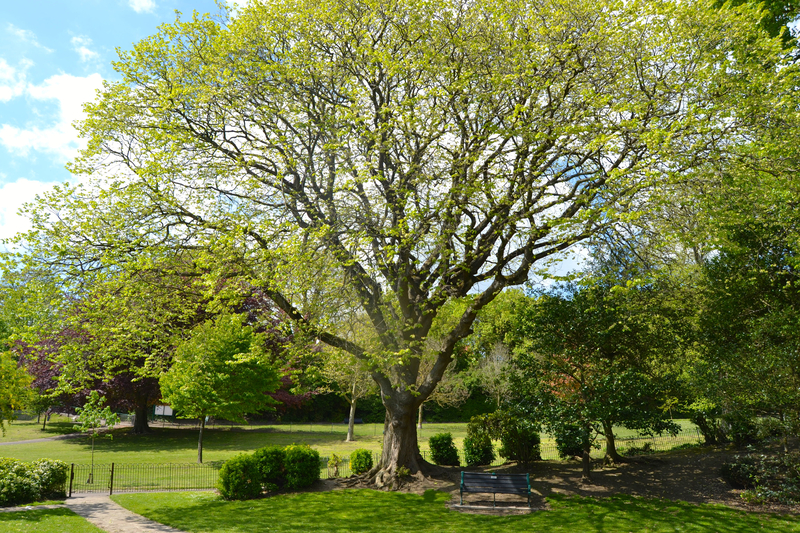 When building plans at Brighton College required the removal of a 100 year old English Elm, the multimillion pound proposal was swiftly blocked by the council. The Friends Of Queen’s Park logo, inspired by the arch at the foot of West Drive, depicts a small tree visible through the arch. The tree is, of course, an Elm. Queen’s Park is ringed by Elm trees, on North, East and West Drives, with a couple in the Royal Spa area and a further 20 or so within the park itself. Perhaps the biggest and finest stands tall in the playground area behind the cafe, supporting a swing in the summer months. There are three mature elms, side by side, on the path from the tennis pavilion to the table tennis table, probably aged over 100 years old. To defend these trees from disease is to defend the very character of Queen’s Park, and yet during the 80s, it looked certain we’d lose them all. Thanks to Rob Greenland and his site BrightonElmTrees.com for information supplied. Rob was formerly the senior Arboriculturist with Brighton Borough Council. See the current Elm Disease page on the Brighton&Hove City Council webpage. The Elm tree typical grows to a significant size (30-40 metres), similar to an oak tree. Its distinctive bark has thick deep ridges running up and down (see photo). The leaves are tear drop shape, with serrated edgers, typically with an asymmetrical shape from the base. They go a lovely yellow/orange colour in the autumn. The main varieties found in Brighton are the English Elm, the Cornish Elm and the Jersey Elm. Many of the new plant Elm varieties are hybrids bred to resist elm disease. Tree conservationists travel from all over the world to find out how Brighton successfully maintains its elm population. Formerly known at ‘Dutch’ elm disease, it does not, in fact, have anything to do with the Netherlands. In 1815, the Duke Of Wellington chose an elm tree as his principle command post during the battle of Waterloo. 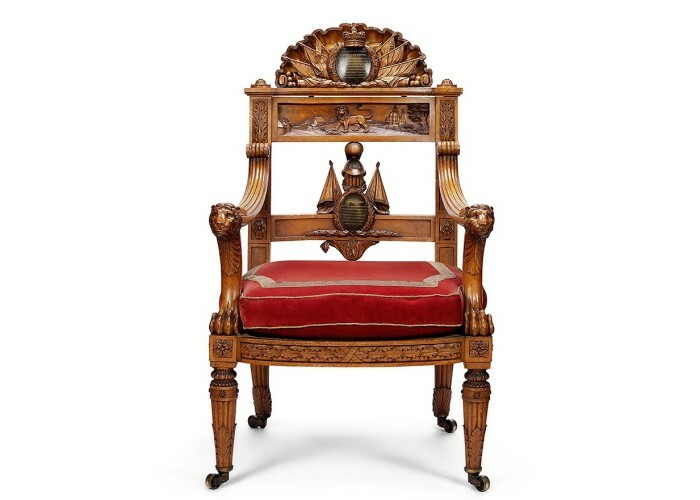 Dubbed the Waterloo Elm, the tree was later cut down and the wood used to make special chairs for the Duke and King George IV. The decapitated tree in the dog area of Queen’s Park is not an Elm tree. But the tree just uphill from it, with the ring wood seating, is an elm tree. The Twin Elms of Preston Park are believed to be four hundred years old. The oldest elm tree in Queen’s Park is thought to be about 150 years old. Follow the Friends Of Queen’s Park on Facebook & Twitter for all the latest updates.